Click Sign Up or the Get Started button. You will see the next screen. 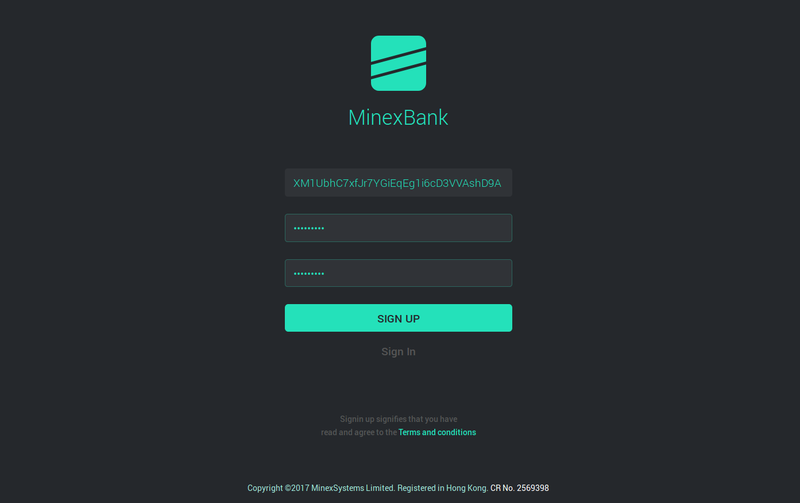 Paste the new address you have copied in the MinexCoin Address field. 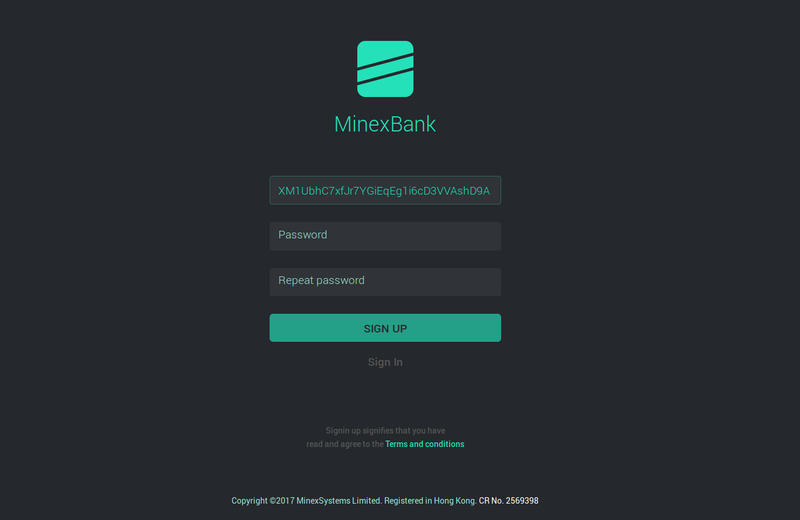 Create and enter the password for your bank account and confirm it in the line below. Paste your new address to the first field of the form. Press Sign Message button below. You will see the code in the thirst line. 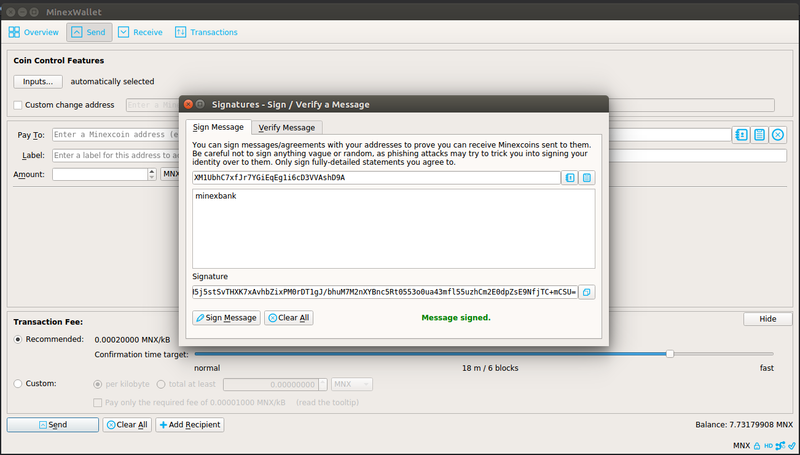 This is your “signature” for this operation. Copy it. 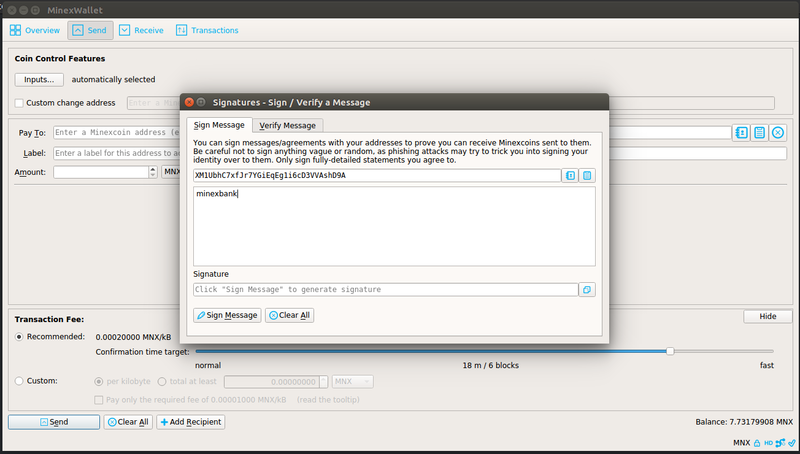 Get back to the MinexBank and paste the signature to the second line. 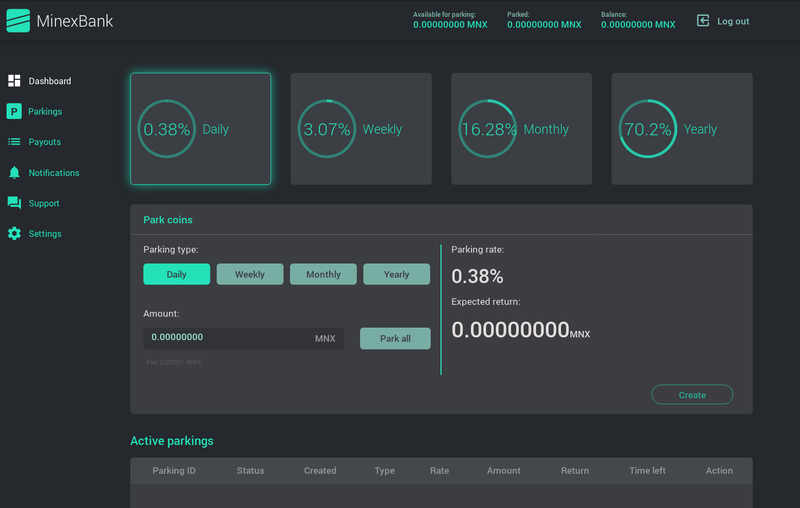 If you did everything correctly, MinexBank Dashboard would be shown immediately. Note: to see the balance you should have coins at the address you have registered the bank with. 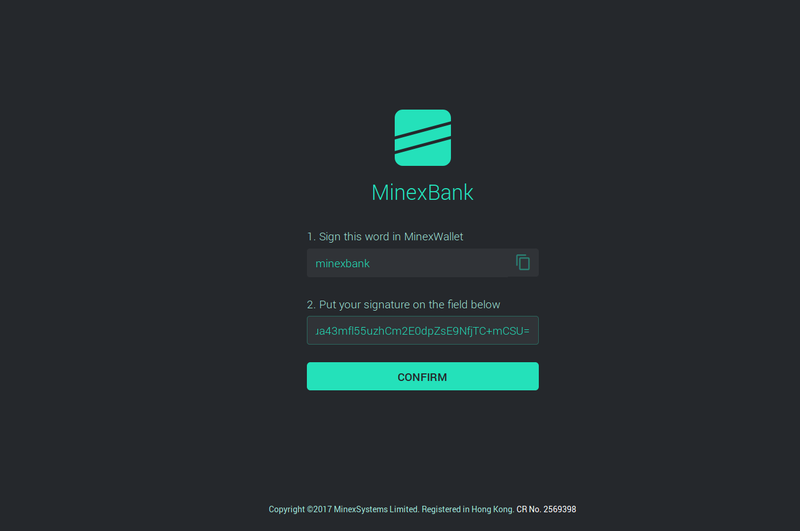 The wallet may have several addresses but the MinexBank only "sees" the registered one. If the coins are located at the different address, for example, you bought some from the exchange or withdrew from ICO or bounty accounts, you can send them to the new one or register the address you received the coins to. 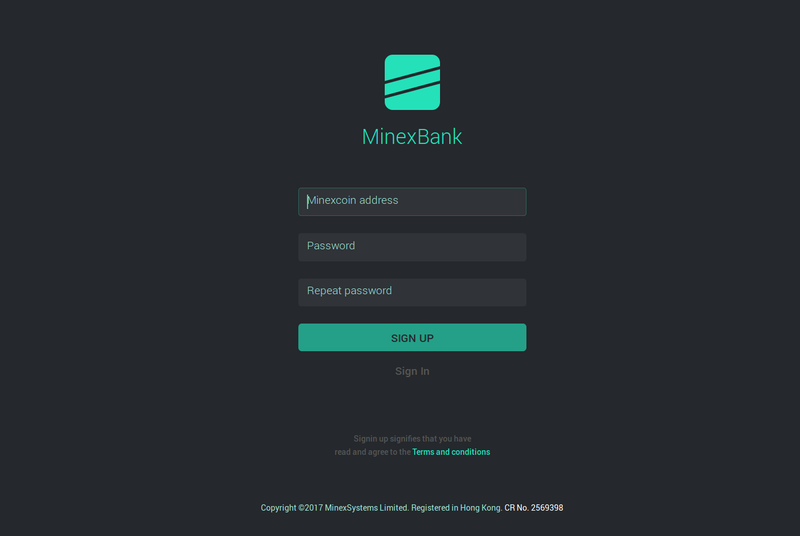 NOTE: You DO NOT SEND any coins to MinexBank and you DO NOT HAVE the coins in the bank. All coins are ALWAYS in you wallet even when you park them. You receive reward, i.e. interest, for keeping the coins in your wallet rather then not sending them elsewhere to exchanges, i.e. selling them.